In addition to not knowing when to step away from Overdrive, I have recently become enamored of NetGalley. I was approved for my first ARC last month, and I have found it difficult not to request every semi-interesting title I come across ever since. The only thing holding me back is the thought of all the reviews I would suddenly be obligated strongly encouraged to write. I have managed to scoop up three titles I'm excited to dive into over the next month or two. Or, perhaps, today—happy weekend! 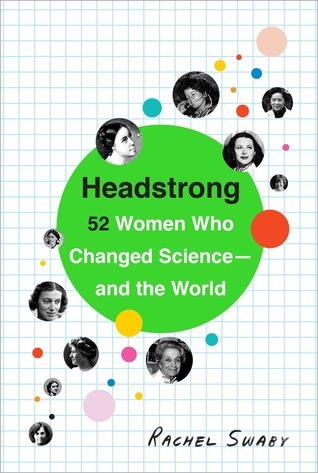 Headstrong: 52 Women Who Changed Science—and the World, by Rachel Swaby (Broadway Books) As an aspiring lady scientist, this one was an obvious pick. It's chock full of short profiles of lesser-known women who made significant contributions in their respective fields. I anticipate some intense nerding-out. Due out April 7, 2015. 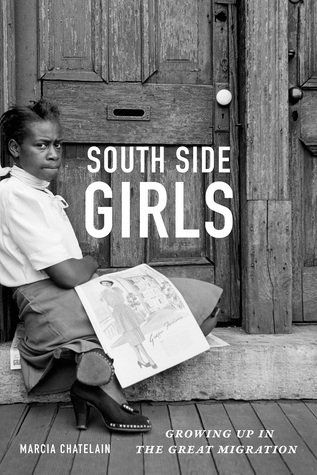 South Side Girls: Growing Up in the Great Migration, by Marcia Chatelain (Duke University Press) Another non-fiction pick! This one is about how young black women weathered Chicago's Great Migration, primarily focusing on the first wave at the beginning of the twentieth century. History is interwoven with the stories of young women who, fleeing the reign of Jim Crow in the South, had to carve out their place in the industrialized, uncharted territory of the North. Though it's a bit of a buzzword, I appreciate intersectionality in my reading and was especially excited to be approved for this one. I hope to learn a lot. Due out March 13, 2015. What about you guys? What are you most excited to read soon, ARC or otherwise? Howdy, Neat blog! Lemme know how "Headstrong" turns out when you get to it! I've been on a long math/science/philosophy stint of late. In the middle of Thomas Kuhn's "the Structure of Scientific Revolutions," and just finished "The Information" by James Gleick, and a couple by Douglas Hofstader; "Godel, Escher, Bach" (long, involved, and pretty mathy, but incredible nonetheless) and "I am a Strange Loop." My queue's running short again, let me know if there's anything you'd recommend. Happy reading! Hey, you. Thanks for the visit! I actually read Kuhn's book last year... I liked it a lot, though it was a bit repetitive for my taste. I'll check out those other ones you shared. I've heard especially awesome things about Godel, Escher, Bach. Wait, I haven't heard of any of these but they all sound so good! And you had me at cannibal. 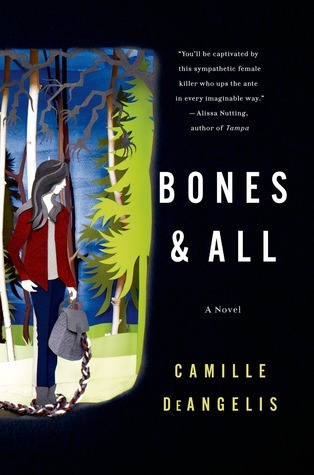 WHAT EVEN is Bones & All. I'll be looking into this book haha. I had to take a break from ARCs, because the pressure is too intense for me. But I just started again (while being much more selective) and I'll be reading Our Endless Numbered Days by Claire Fuller soon. If you haven't heard of that, you might be interested in it! I haven't heard of it! Tell me more! And yes, that's exactly why I'm very careful not to request too many because I know I'd just get overwhelmed and end up not reviewing any of them. I think you'd really dig Bones & All! It had some flaws for me, but it seems up your alley for sure.